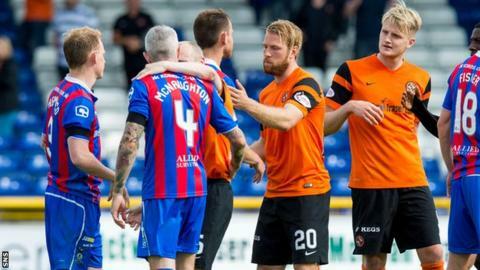 Inverness CT will open their Scottish Championship campaign at home to Dundee United when the 2017-18 gets under way on 5 August. The Highlanders, relegated from the top flight last season, have appointed John Robertson as Richie Foran's successor. Elsewhere, Dumbarton host Morton, St Mirren face Falkirk, Queen of the South take on Brechin City. Newly-promoted Livingston welcome Dunfermline Athletic for their first game of the season.